Gifts for Pre-Schoolers are for those in the 3-5 years age bracket. This range includes some of the same items in the toddlers gifts, but at a more advanced level. Reading books, activity/sticker books and memory/card games. 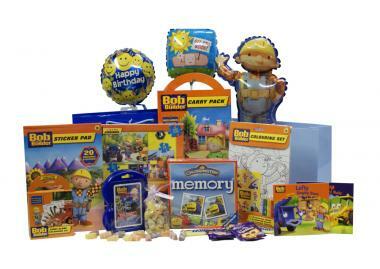 Brands here include Bob The Builder, Dora The Explorer and Charlie & Lola. This range of gift baskets include more advanced Penguin reading novels, by authors such as Jacqueline Wilson & Roald Dahl. Board games and more complex jigsaws, kits & models to build and popular DVD's. Our new range of fun childrens gifts start from only £30 and are popular as childrens birthday gifts for girls & birthday gifts for boys. Another popular reason to send a gift basket to a child is for sicks kids in hospital. Loving grandparents, aunt & uncles etc often wish to send a gift if they live abroad & so can't visit. The work colleagues of parents often club together to send a little something too, to show they are thinking of them. Whatever the occasion, we like to think we have all bases covered & offer something a little different in the way of gifts for kids. 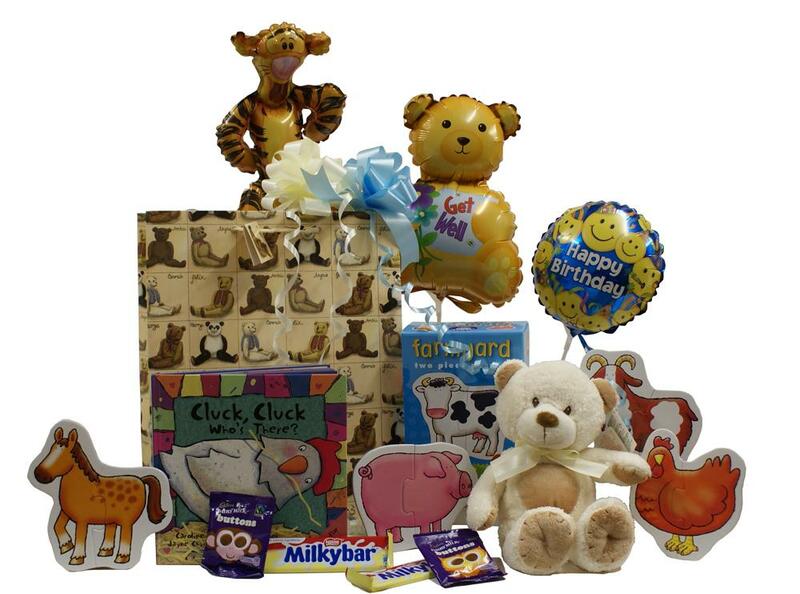 There is a section on our "Create Your Own Gift Basket" website featuring individual childrens gift items. You can pick from the many games, puzzles & toys and also the sweeties/chocolates for kids. 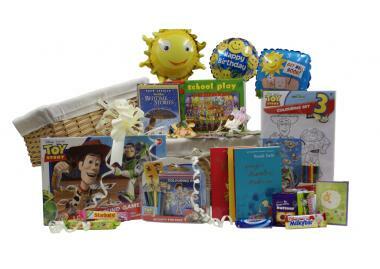 So why not create your very own childrens gift basket. Available for delivery all over, Ireland, the UK & Europe. Check back soon for details on our gift for teenagers and gift baskets for students!